With a perfect mix of scoring and lights-out pitching, the baseball team has been exceeding expectations, garnering a No. 13 ranking in Division III. 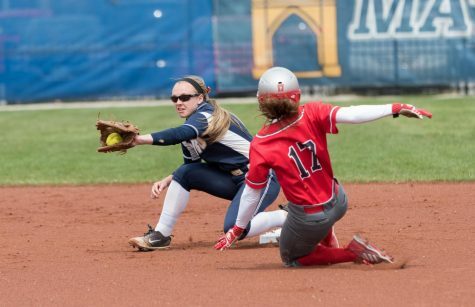 Following a series win over Ohio Wesleyan University two weekends ago, the No. 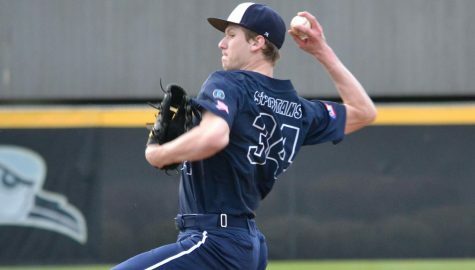 13 Case Western Reserve University baseball team kept its momentum going with another series win at Nobby’s Ballpark against Emory University. 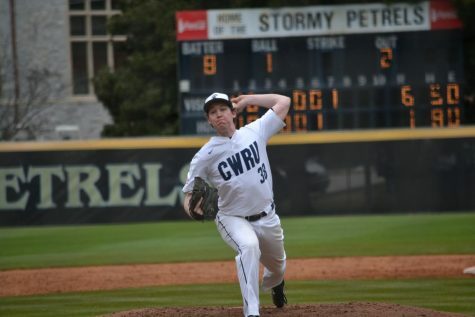 CWRU played its first game of the weekend on Friday, March 30. The team was down 2-1 early and managed to keep the deficit at two runs for the majority of the game. 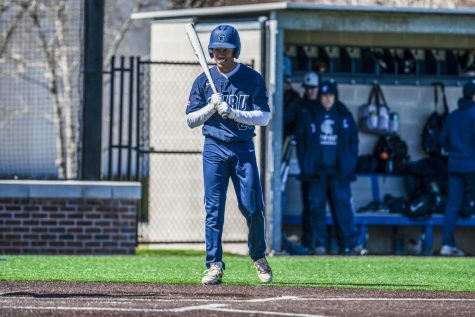 In the bottom of the eighth inning, third-year second baseman Rocco Maue belted a solo home run to bring CWRU within a run of Emory, but it was not enough for the Spartans to win the game. They ended up falling 5-2 after allowing two runs in the top of the ninth inning. The team came back with a vengeance the next day. In the first game of their doubleheader, the Spartans started off slowly, allowing three runs in the first three innings, while scoring none. The bats finally came alive in the bottom of the fourth inning, as Maue set the tone for the inning with a solo home run. His words proved true, as CWRU went on to score three more runs in the inning, and a total of 12 unanswered runs over the course of the next four innings. 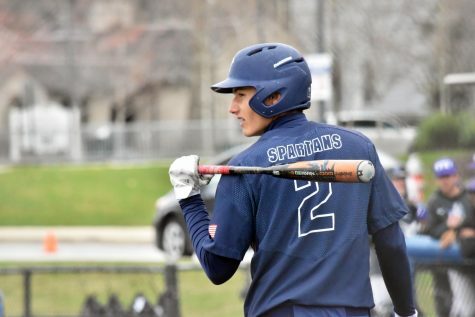 Led by Maue’s big bat, the Spartans routed the Eagles 12-6. The second game of the doubleheader was much closer. CWRU struck first, tacking on three runs in the second inning, but Emory answered with two runs the following inning. Both teams were neck-and-neck with one another until the seventh inning, when Maue blasted another ball over the center field wall. His solo shot gave the Spartans a two-run lead, which was cut to one by Emory in the top of the ninth inning. The Spartans were able to hold on to eke out a 4-3 win. His strategy has worked well the whole season, as he is now just one home run short of matching the Case Western Reserve University single-season home run record with over half of the season remaining. Contrary to the other games in the series, Maue was not the star of the show in the final game. Instead, it was the incredible pitching performance by first-year starter Matt Levine. Levine threw 103 pitches for a complete-game shutout, as the Spartans secured the series victory with a 4-0 win. Levine’s start was not perfect, and he found himself in trouble a few times. Whenever he found himself in a pinch, he stepped up his game tremendously and worked his way out of it unscathed each time. The fifth inning was an example of this, as Levine was in a tough spot with two runners on the corners and only one out. The Spartans are now 16-3 overall and 3-1 in University Athletic Association play. 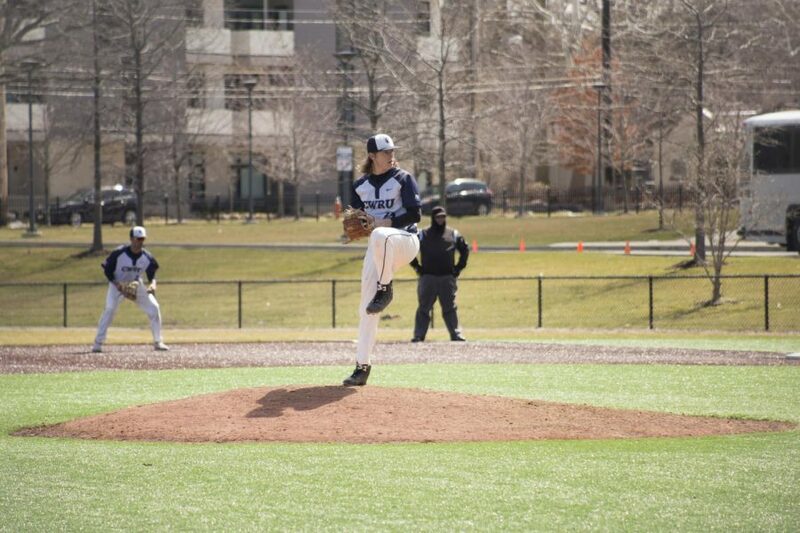 The team will play their next series at Stein Diamond in Waltham, Massachusetts against Brandeis University on Friday, April 6. Until then, the Spartans plan on following Maue’s advice.